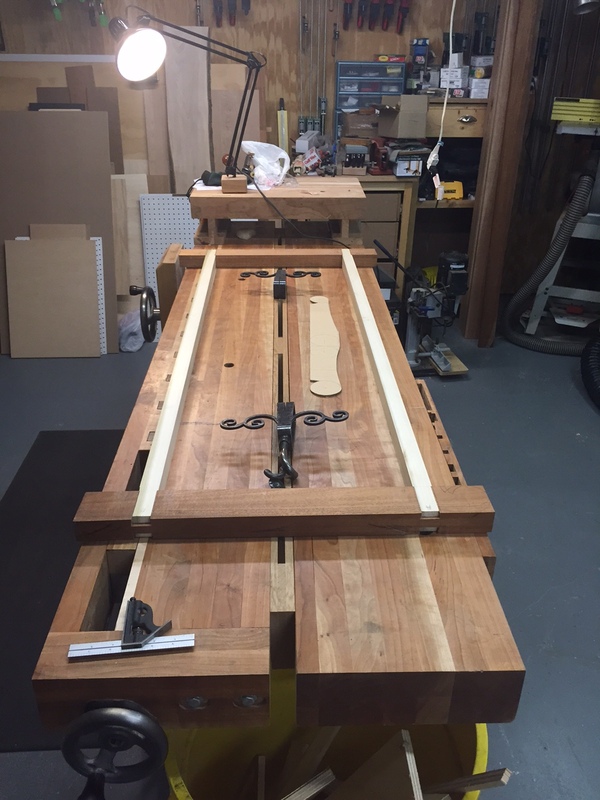 With both sides cut and fit I’m half way through the assembly of the frame. 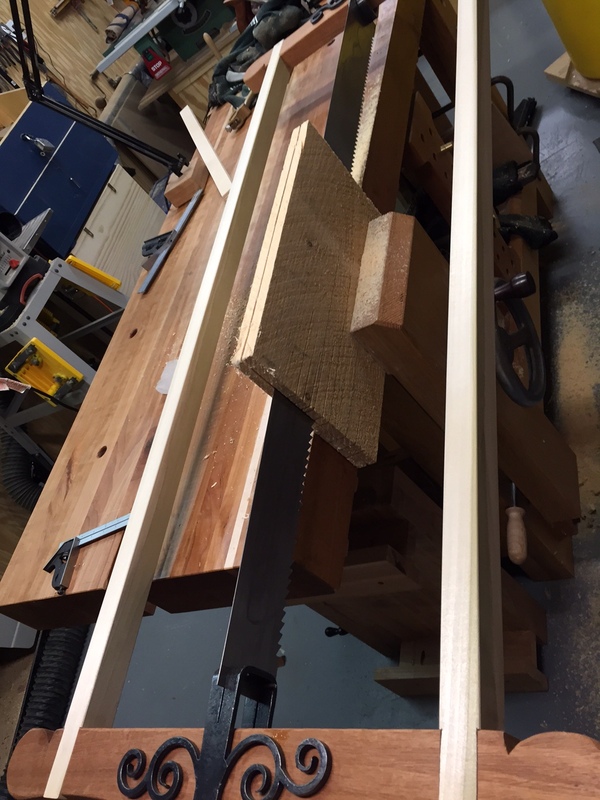 The width of the end piece is 2′, so this is a sizable chunk of frame. 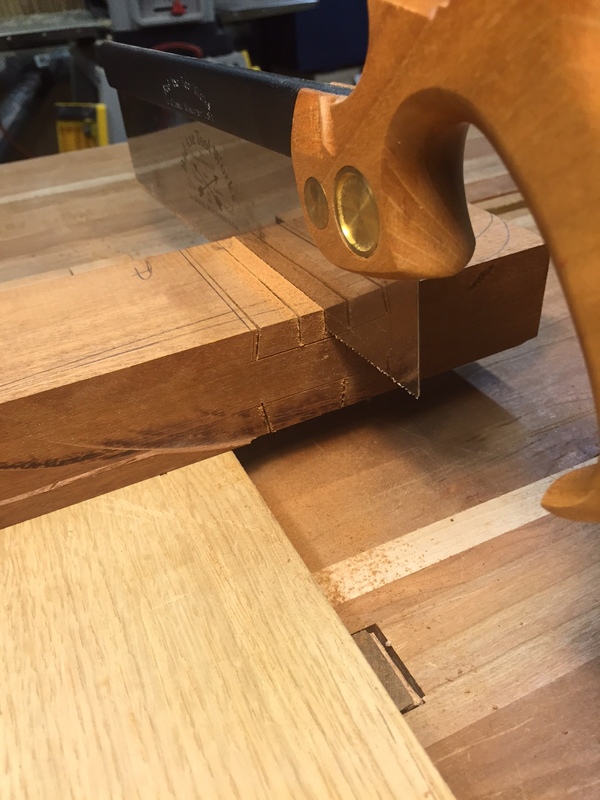 The dovetails are cut like Shannon describes. Edges are angled, then 3-4 cuts in the center are done to unrestrict the fiber for chop out. 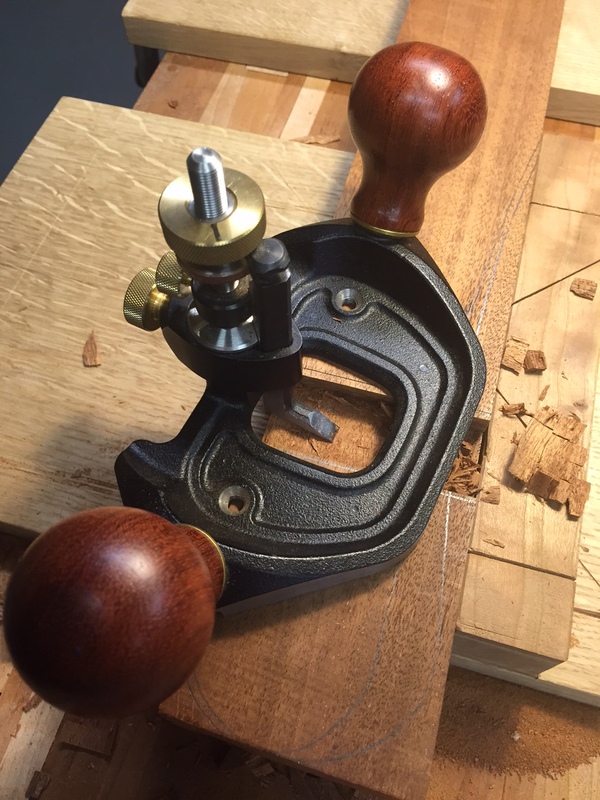 It’s optional, but I love using the router plane to make sure that there are no peaks in the gap floor. Just a tiny variation in this large a gap will make the fit hard to do. 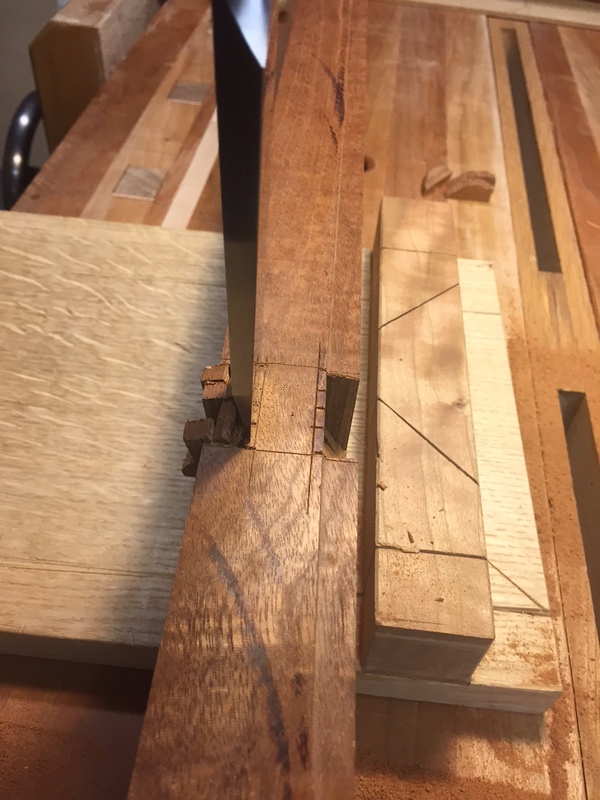 The edges of the tenon are trimmed with a saw (I used a dovetail saw, so it didn’t cut down 2 1/2″ – I had to chop and chisel the corner to clean it up. 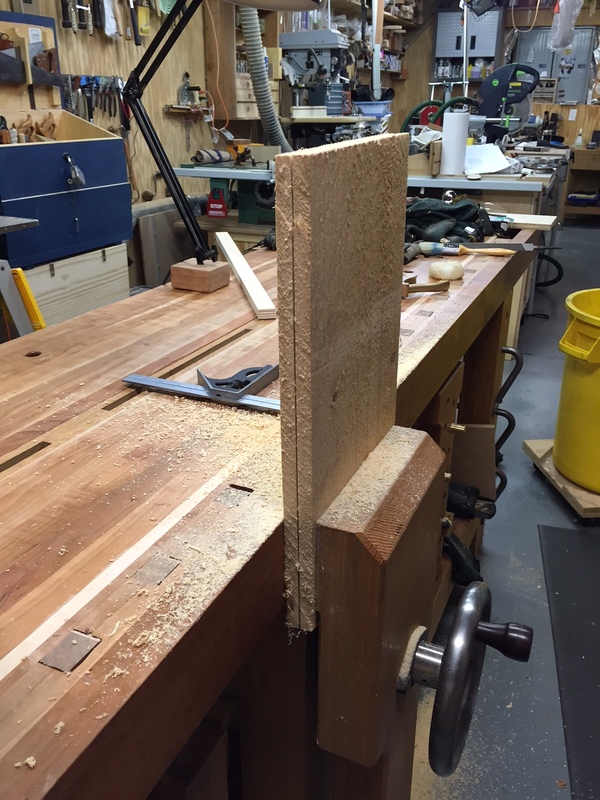 The end cap has the dovetail cuts, and the poplar rails have the pins cut on the outer “tenons” – nope not required – but yep – fun to have done! 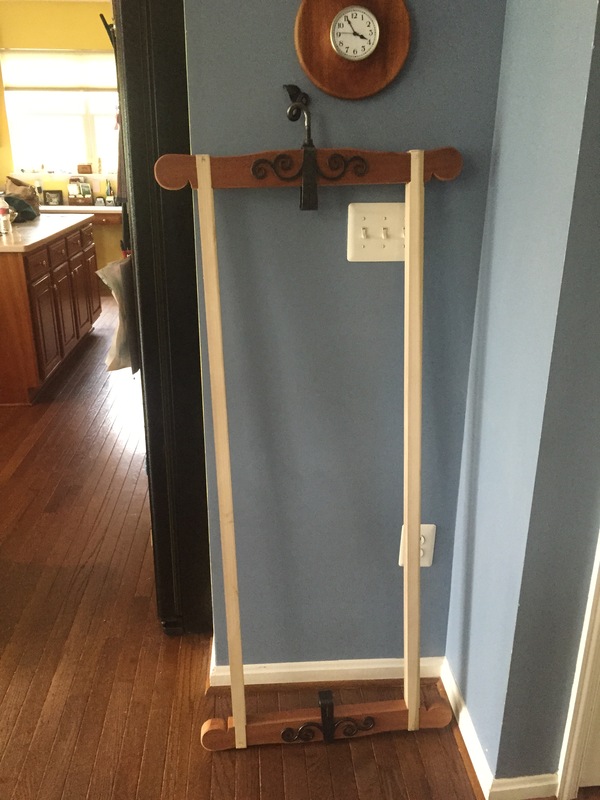 It assembled – so the rough frame fit together. The joint edges aren’t perfect, but they are physically tight and locked into right angles! 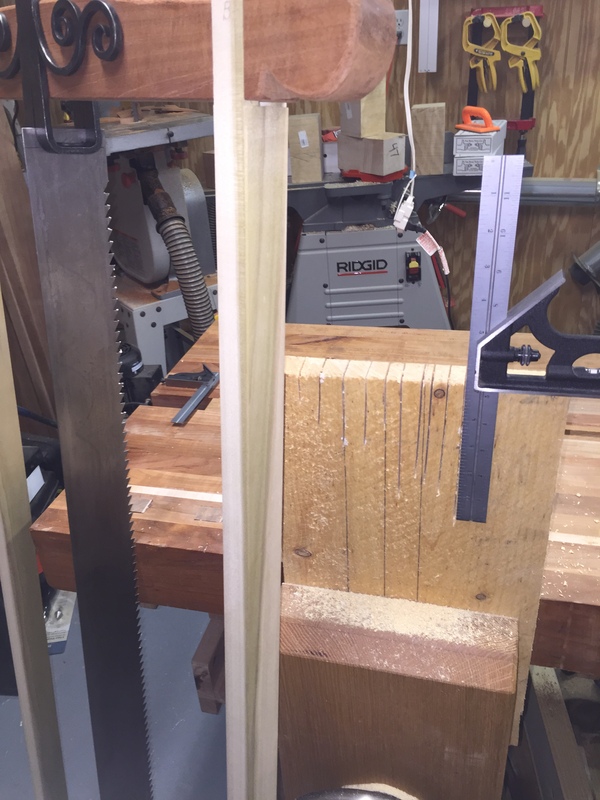 Used a bow saw to cut one end, and the bandsaw to cut the other. 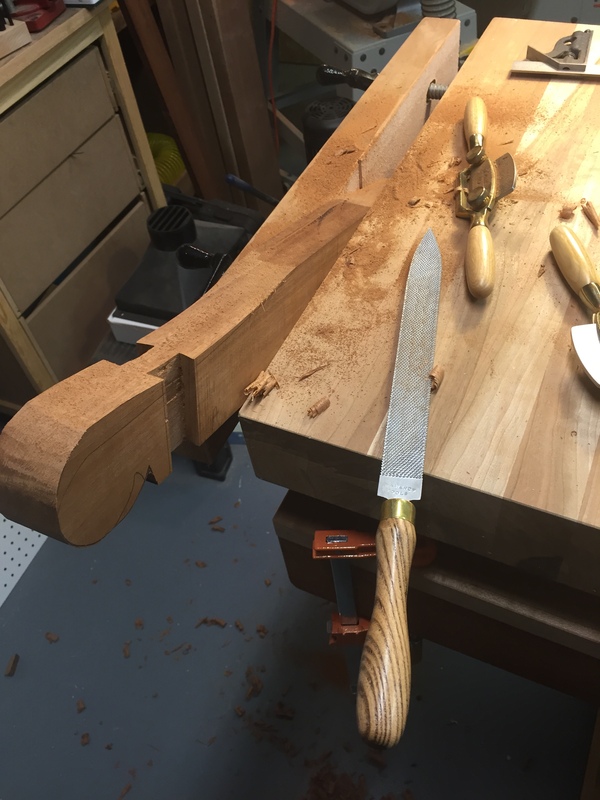 Turns out the rasp/spokeshave work was about the same for either one. 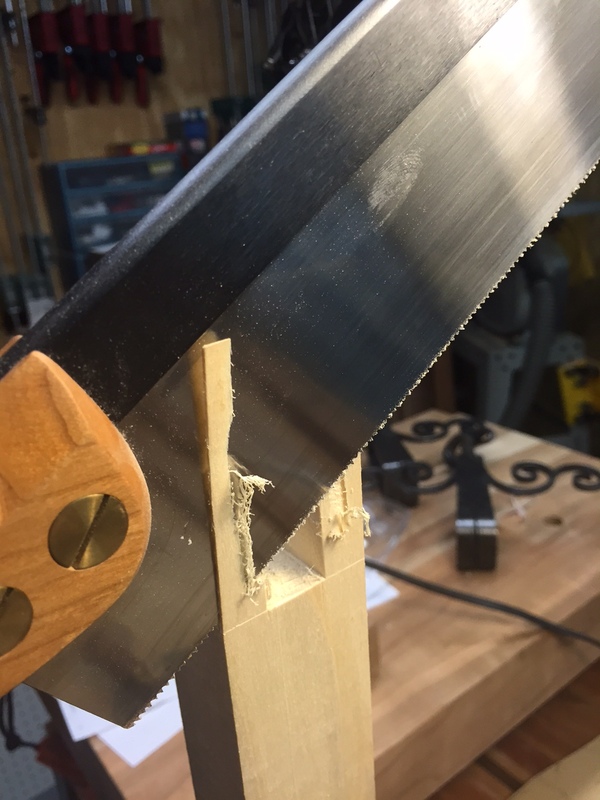 So I decided to bow saw the other end. 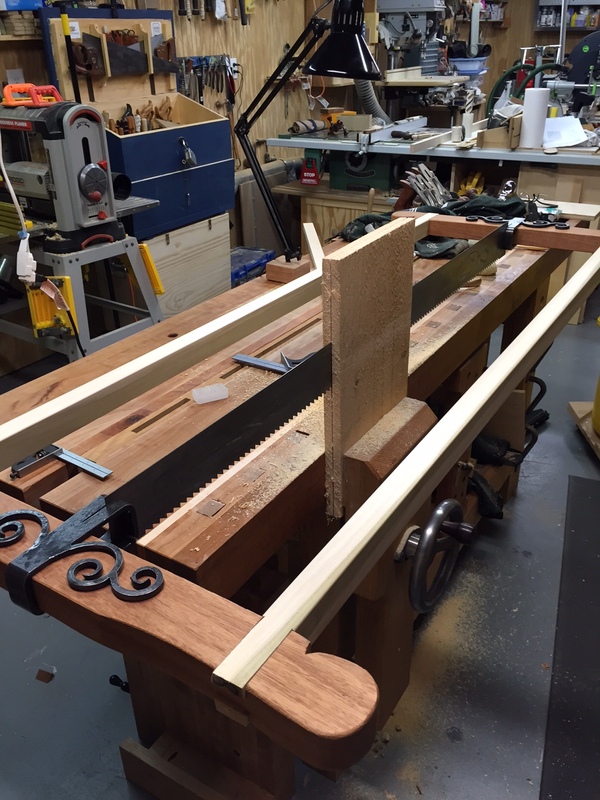 Then the bow saw tension string broke… so back to the bandsaw. Oh well. Fitted the drive plate in the “top” handle. Reassembled the “head” with the rails. 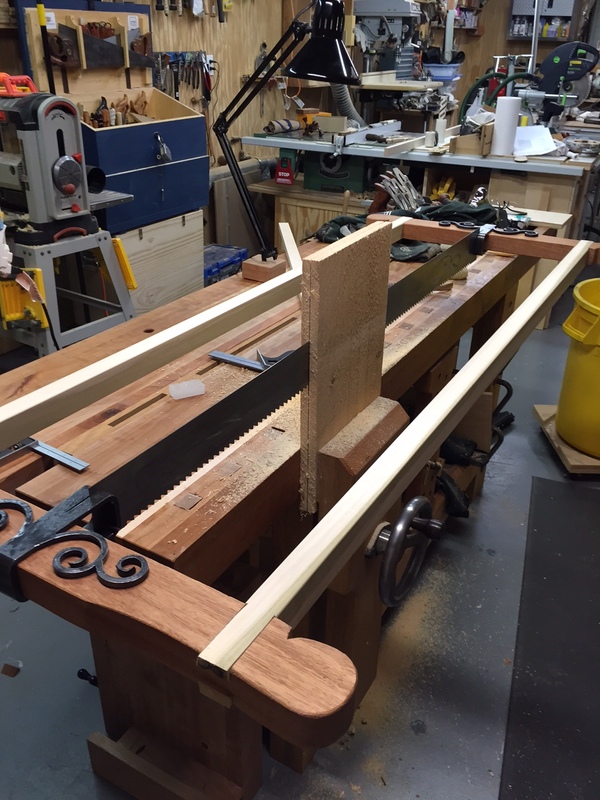 Still need to trim and plane the rails – they’re still in raw cut mode. 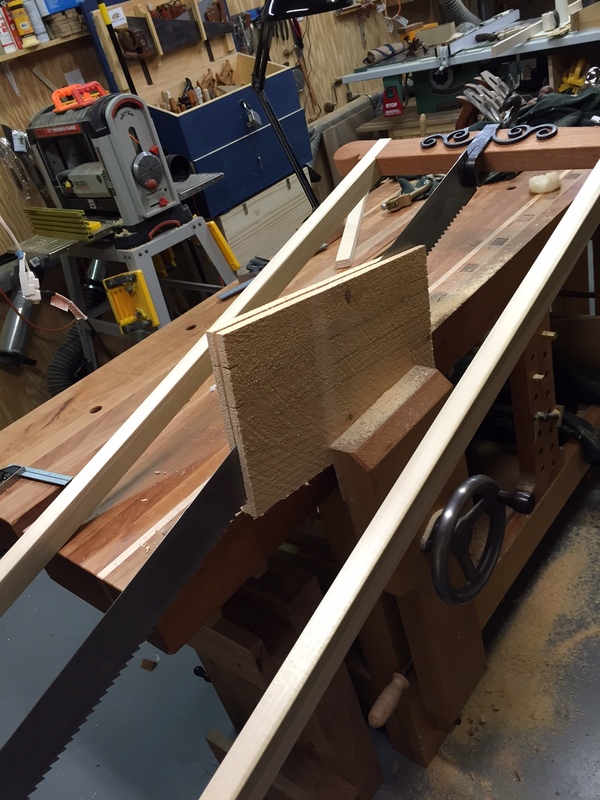 I did lay out the 3″ blade and marked it for placement of the retaining loops. However, I haven’t found a way to actually get a starting dent in the metal to do the drilling yet… my marker seemed to leave a tiny mark – but the drill bit did NOT stay put at all – I ended up using the drill press on the lowest speed – and had the blade clamped to a 2×4 to keep if from getting caught or moving. 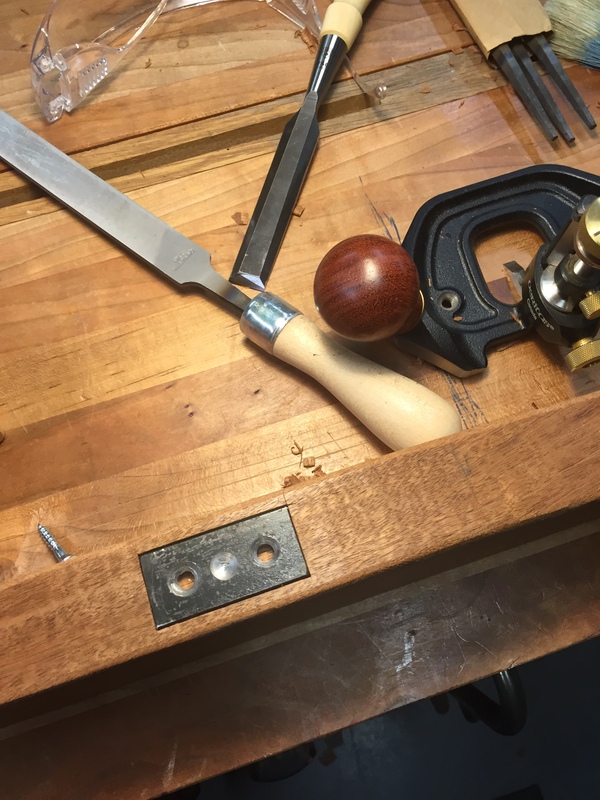 while the saw frame was apart, I did clean up the sides of the rails, then used a 45 degree angle down the edges with a block plane to gentle the edges. It’s just poplar, but looks and feels good non-the-less. 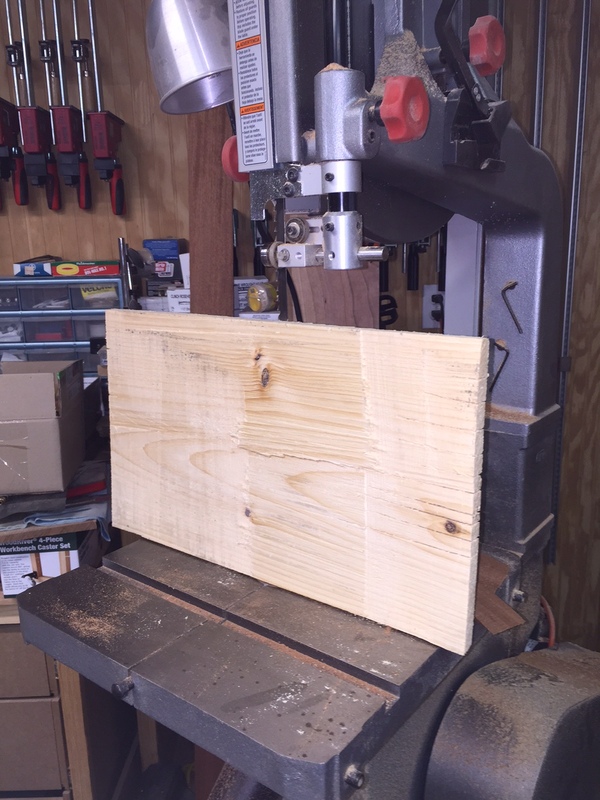 I used the drill press with the carbide drill bit to put in the holes for the loop retainer. 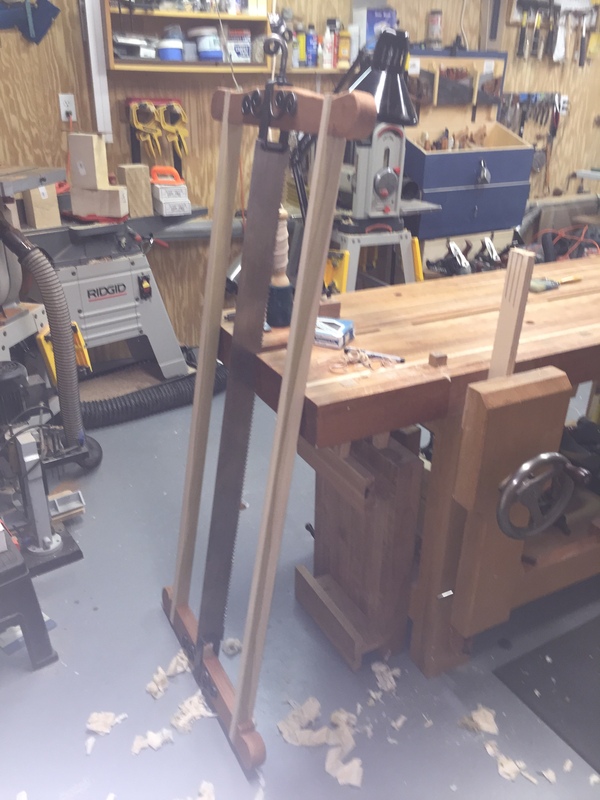 Since I didn’t have anything to really place the starting point, I clamped the blade to a 2×4, and just set the speed to the lowest and drilled them out. Then of course – I sharpened and set the teeth. Once the blade was set, I framed it all up, and am now ready to practice (and check) the saw behavior. 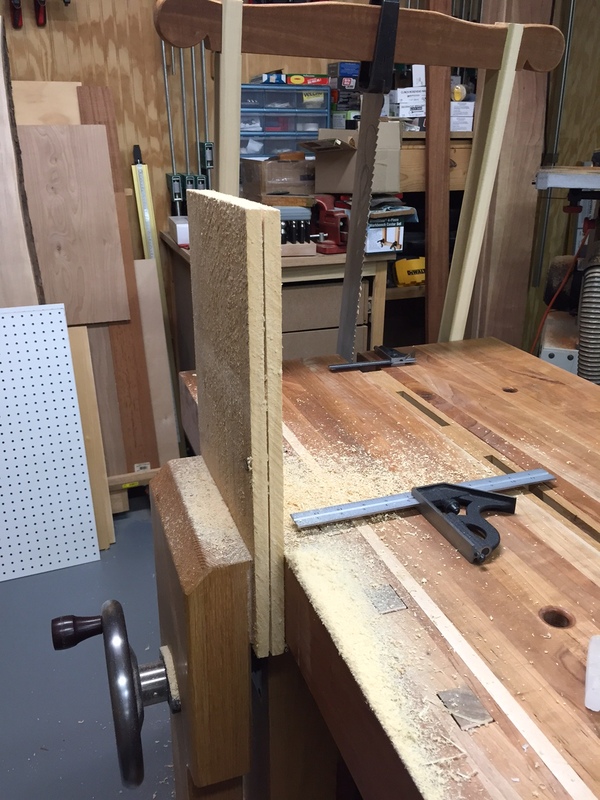 I tried with a piece of plywood – that just didn’t like the 3.5ppt setting at all, so I’ve switched over to actual hardwood. Yes, the saw is heavy, and it does take some getting used to for getting started. 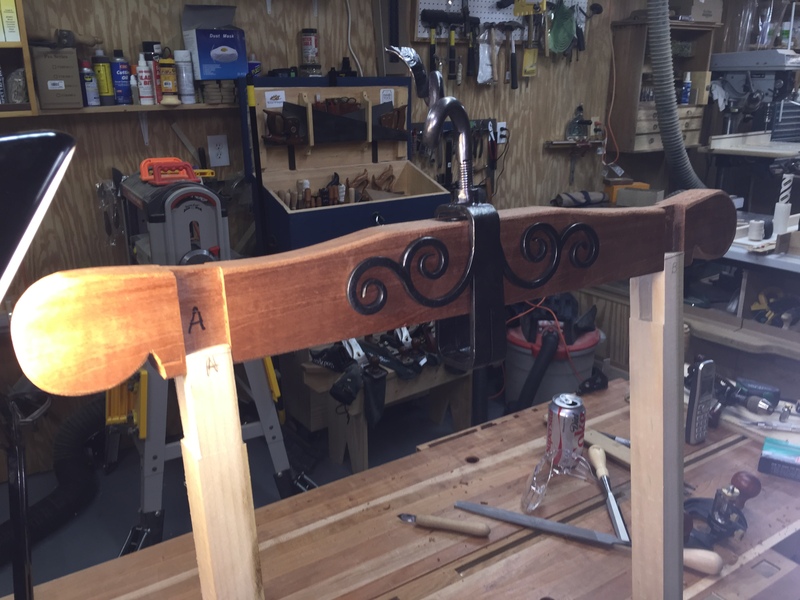 It needs lifted when starting, just like other saws; however the size and weight of this unit makes that more noticeable. Yep – I started sweating just getting things started. Getting the tooth set correct may be because I was going to easy on the set – am close now, but just a bit more I think needed. 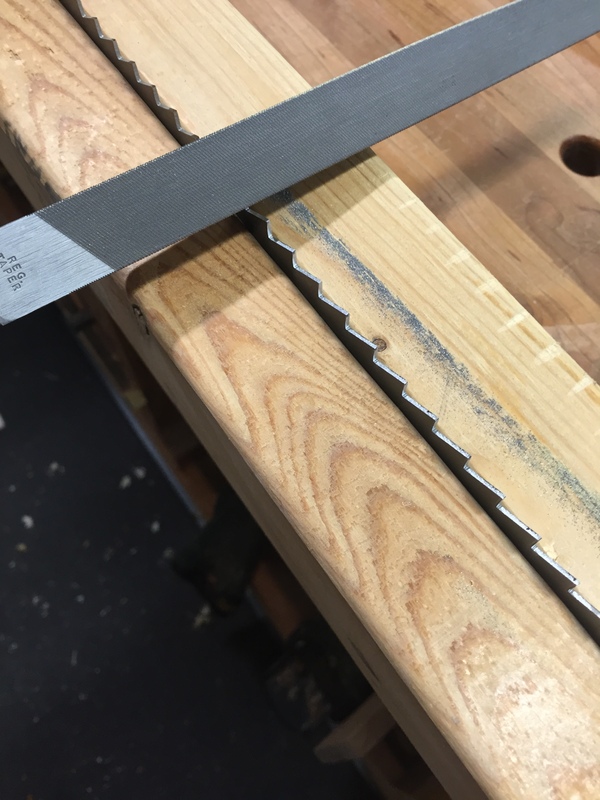 I used the resaw to cut in about 1″ on each edge to set the line. Both sides and across the end grain. 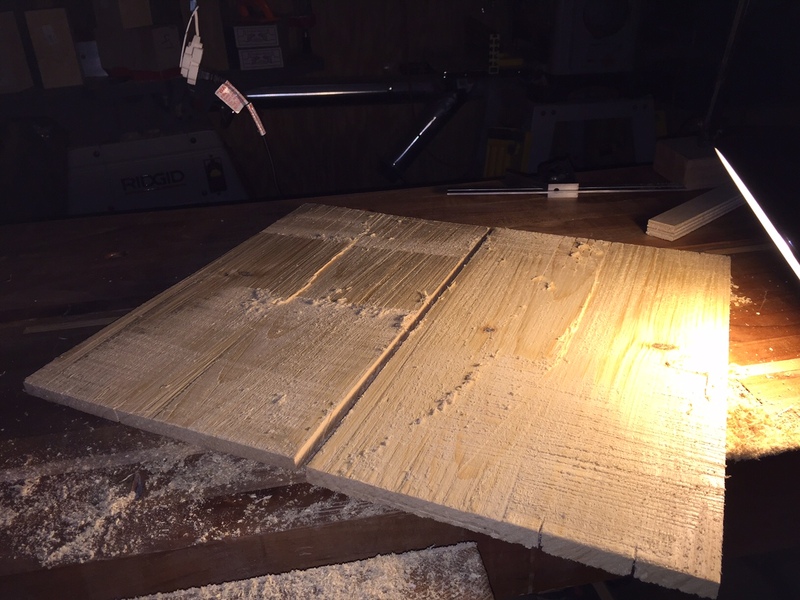 Not bad – Yes I sweat good, and yes, this is about as big a board as I could expect to resaw on the bandsaw, but a new range of work is now in sight!